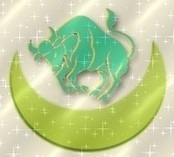 Moon in Taurus is often misunderstood by astrologers. They tend to stereotype it as stubborn to the core. In reality, this is only partially true. Taurus is a fixed sign of bull ruled by the planet of love, beauty and creativity, Venus. So those with moon in Taurus tend to find more peace in expressing love, being lost in the beauty of the world and taking part in fine art. Anyone forming an obstacle to that will only face their horns. Of course, many Taurus moon people will try to keep the tantrum down, but this does not mean that they will forget that person. In some cases, they will simply separate themselves from him or her. Now can a Taurus moon go through changes in opinions? Yes, only if they see that it is for the love of others. Tradition also means a lot to Taurus moon people. They usually try to adhere to their family customs. Still there are some differences between the man and woman. We will take a look at them separately below. Here is a man who guards his feelings quite strictly outside. He talks to only few people to avoid any kind of awkwardness and intruders. It usually takes him more time to open up. He must first know if the territory is safe. Just see this man like a cat. He prefers only those whom he can trust. This is true even at home. If his siblings are rude to him he will remember that almost all his life and make sure that he is away from them. He will also make sure to not trust them again unless of course they sincerely ask him for forgiveness. Secretly, the Taurus moon man takes pleasure in building things of beauty. Depending on his taste, the task might include creating lyrics, carpentry or drawing. Apparently, Taurus moon bestows its carrier a toned voice. So it is possible for him to also enjoy singing. Professionally, he is more interested in finance. As a matter of fact, he will often take time to weigh whether he is getting paid enough for the amount of job he is doing for the company. What about his love life? As mentioned before, Taurus is a sign ruled by the planet of love, Venus. So inside the mind, the man will always be romantic. But at the same time, when without a companion he will feel very love sick. He just has a need to be in a relationship. During his early age, this will compel him to be with a few wrong women. But as he will mature he will become more aware of who he really wants. Typically, the Taurus moon man prefers to find someone who is beautiful to his eyes. Recall Taurus values beauty! Next, she must be kind, educated, homely and mentally stable, and have defined goals just like him. This man sure is tolerant, but not of tantrums and ill tempered pushy people. Can he cheat? As long as he gets plenty of love in his relationship and has a stable family background he will not stray. Although individualistic, this man brings to relationship all that he learned from his parents. Tradition is the key here. Despite this, it must be noted that since Taurus moon is too fixed and guided by favoritism in love, its carriers are not capable of dating two or more people at the same time. So in a way, Taurus moon men can be taken as very faithful. Taurus moon woman is extremely feminine. She is interested in makeup, jewelry, fashionable clothes, sewing, cooking, decorating home and so forth. So do not get surprised if she presents you her handmade quilt. She is also very inquisitive about nature. More than parties, she enjoys hanging out in the garden and park. Most often she is not judgmental. Consequently, she is not as territorial as her male counterpart. Still she prefers to be friends only with females. This lady is conservative and shy by nature. 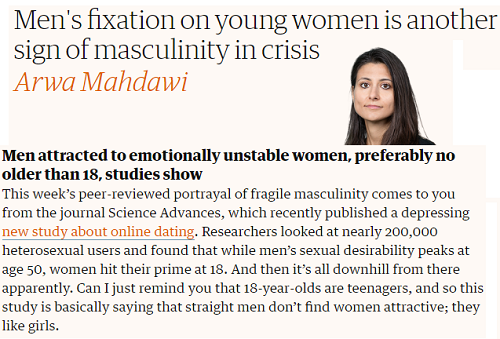 That is why; she finds more comfort in the circle of women. Negatively, the Taurus moon woman can suffer from over sensitive taste bud and nose. This makes her instantly reject things that give off odor. Additionally, she is not fond of travelling. She sees her home as her ultimate world. In love and relationship, the Taurus moon girl wants to play the role of a wife by feeding and taking care of her partner. No matter what her family background is, in her mind, love for her partner will always be stable. So we can conclude that she is faithful. When she is single she is not love sick, but does devote herself to dreaming about her soul mate day and night. Now what type of man is preferred by her? She does not have huge expectations, but yes, he must be good looking and tremendously faithful. Taurus moon is a jealous sign. It also despises competitions. For this reason, she cannot stand men who have wandering eyes. A short lived relationship is not for this woman, for she gets intensely hurt from breakups. Venus ruling her mind is the problem. It makes her too attached to the one she loves. Seeing him leave is completely unimaginable to her. Thus, moving on is not the easiest thing for her. But this is not all. The heartbreak also ends up affecting her life in a very negative manner.